National Park Service urges boaters to help limit the spread of nonnative invasive species. 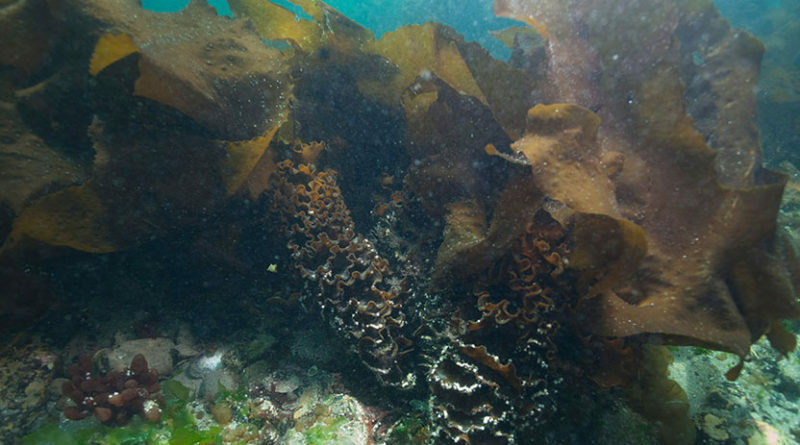 VENTURA — Federal biologists discovered nonnative, highly invasive kelp populating the waters of west Anacapa Island during an annual kelp forest monitoring survey, the National Park Service announced in late April. Undaria pinnatifida, an alga also known as wakame and found in miso soup, is native to Asia and was initially discovered in June 2016. “Since its initial discovery in June 2016, the invasive seaweed has spread along the entire north coast of the islet, prompting the need for public awareness and support to reduce its spread,” a National Park Service spokesperson stated. The nonnative invasive species initially appeared in Long Beach Harbor about 17 years ago. Seven years later the wakame kelp was found in Ventura Harbor. “Unlike Sargassum horneri, another recently introduced invasive alga, which spreads rapidly due to air bladders that allow it to float in currents, Undaria spreads slowly, unless assisted by transport on boat hulls or by other means,” the National Park Service spokesperson stated. “Now that Undaria has been established, biologists are seriously concerned about its rate of spread increasing. The cold waters at the islands are optimal for its growth. “Due to its pattern of quick growth and its large size, Undaria may compete with native seaweeds for space and light and, as a result, may impact the marine ecosystem,” the spokesperson continued. National Park Service staff stated boaters are essential to defending against the spread of Undaria/wakame. National Park Service also stated boaters can remove wakame by grasping it near the holdfast or pulling it off like a root and then tossing it into the trash. “It should not be discarded in the marine environment, as it could release spores that can remain dormant in a microscopic stage for up to two years,” the National Park Service spokesperson said. Undaria/wakame features large and flat golden-brown blades with a prominent midrib. Meanwhile a PhD candidate at University of California, Santa Barbara is studying the spread of Sargassum horneri in Southern California. The invasive seaweed was first spotted in Southern California waters 14 years ago. Recent research has revealed the invasive seaweed thrives under certain conditions native to Southern California waters.